PROPOSAL is a very special part of anyone's life. Every girl dreams of a quintessential proposal since her teenage— the ring, the romantic location, what her future spouse might say. There are hundreds of options — from broadcasting the question on a scoreboard to a traditional, down-on-one-knee proposal at home — and each person’s dream proposal might differ from the next. So how can you make sure you’re crafting the perfect way to pop the question? Every proposal is special and life changing no matter how grand or simple. 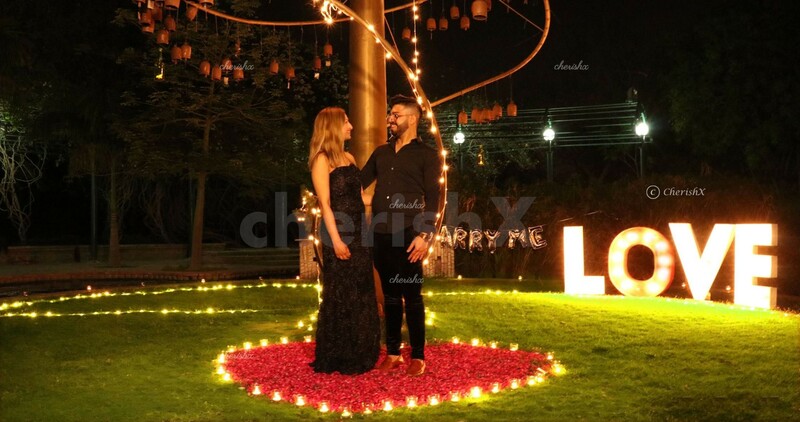 Arranging the perfect proposal is not a small assignment; it’s one of the most crucial events of your life and one you’ll be telling for the rest of your life. We know you want your proposal to bring tears of happiness in her eyes. 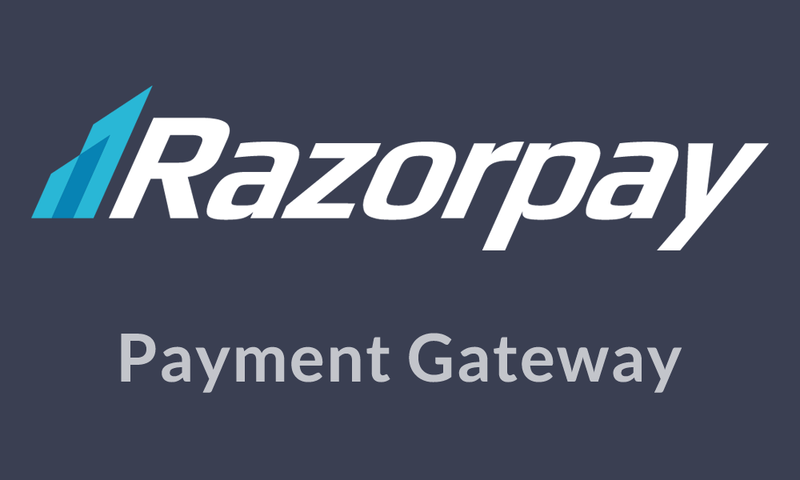 That's why we have curated this unique proposal idea. This is very personalised as you can choose your own location. The place where you first met, or your first date location, or your terrace and we can even arrange a farmhouse for your special occasion. 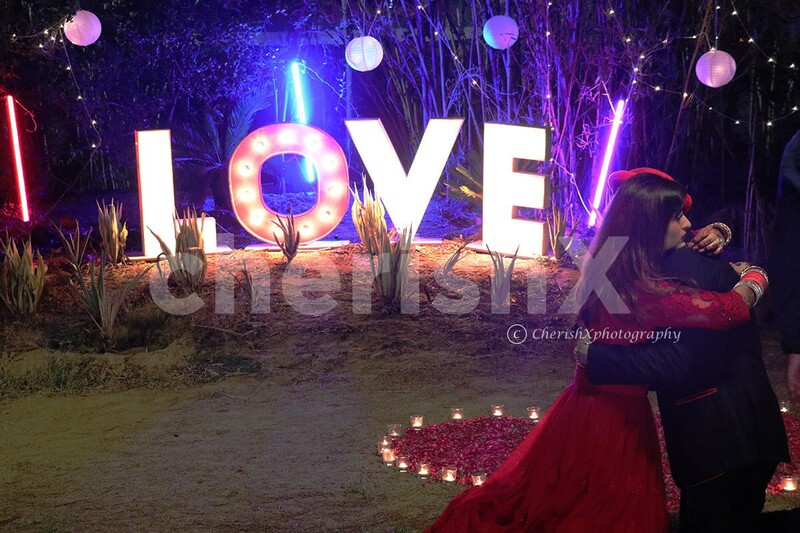 Once you are sure of the location book your proposal through CherishX and we will make sure it is more than she could dream of! 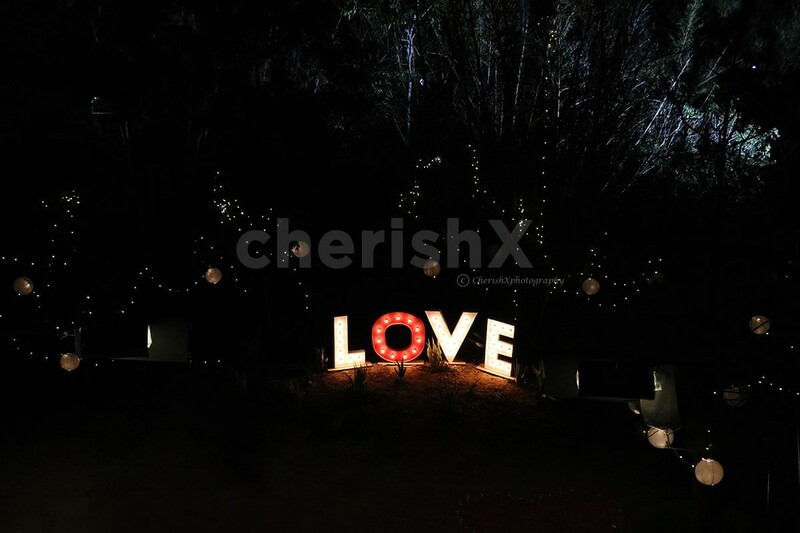 The place would be set up with big lighted up letter - L.O.V.E. Rose petals- the flower that says love more than anything would be strewn around the whole place. 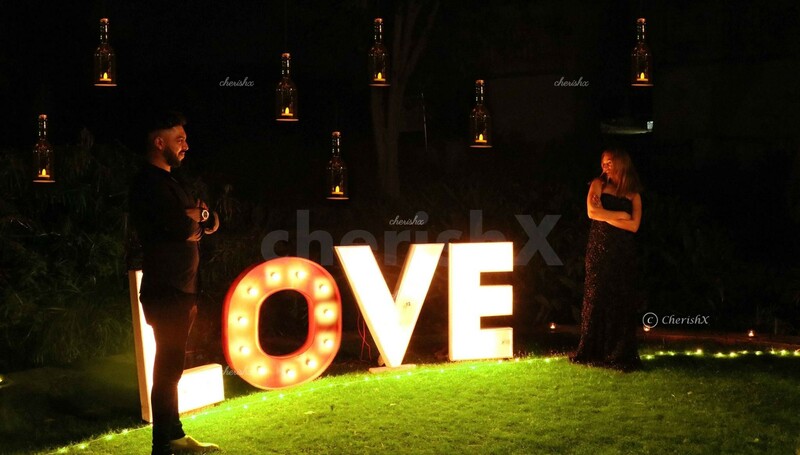 She walks to you through a pathway made out of candles and you pop the question. 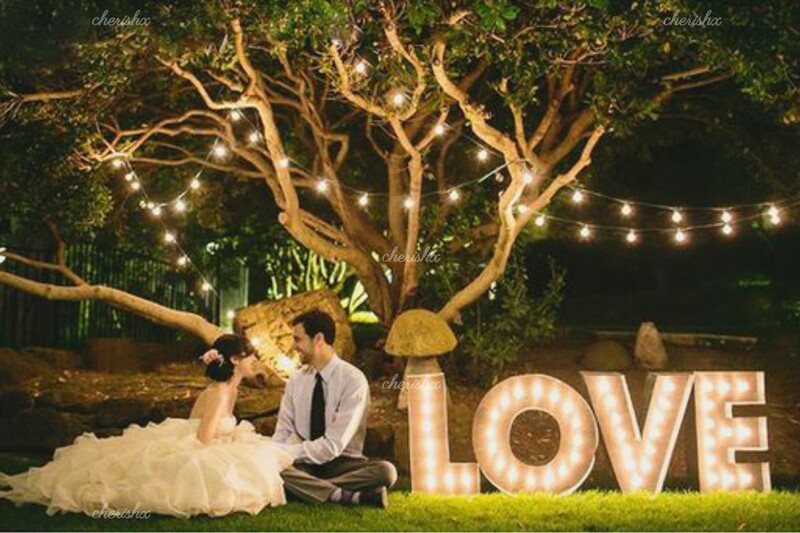 You can mark this occasion by writing this special date on a paper lantern and letting it fly in the air. Make the surprise even more special by adding a guitarist or cake from the customisations. 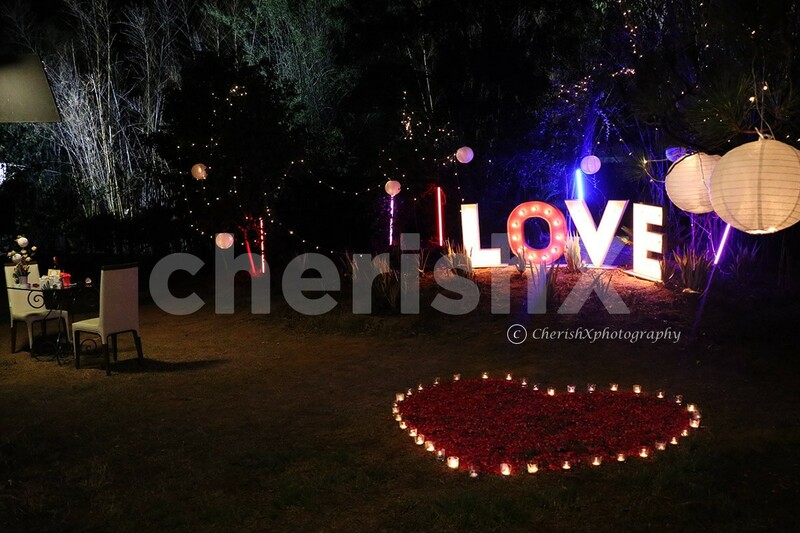 Imagine how special would it be to pop the question with big flashing letters, rose petals, fireworks. This would be more than perfect for any person! 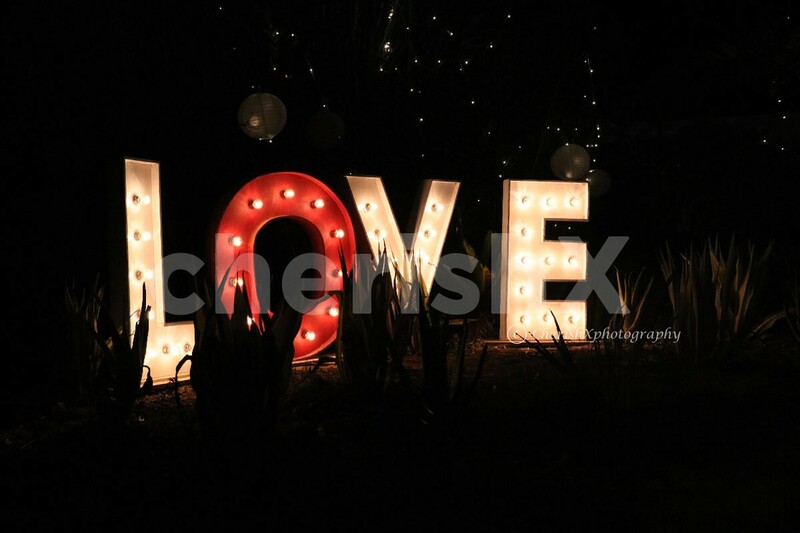 4 Big LED Letters - L.O.V.E.